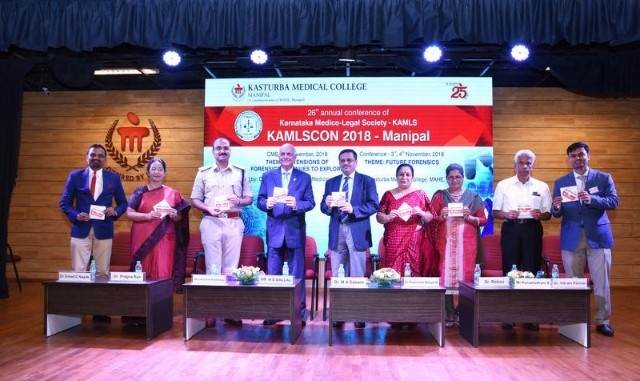 Manipal : The 26th Annual Conference of Karnataka Medico Legal Society, KAMLSCON 2018-Manipal was organised by the Dept of Forensic Medicine and Toxicology in Manipal on Saturday, November 3, at Dr T M A Pai Auditorium, KMC Manipal. 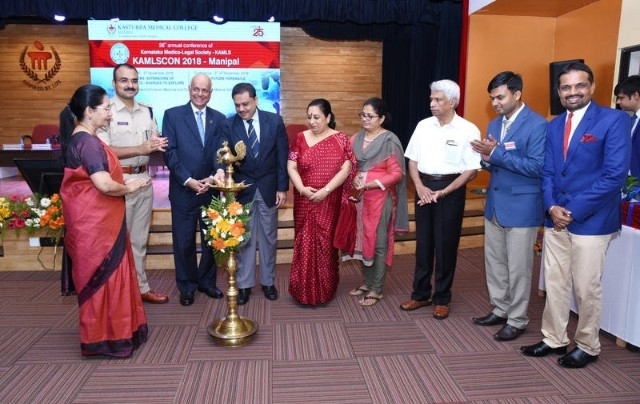 KAMLSCON 2018-Manipal was inaugurated by Shri M A Saleem IPS, Additional DGP, Dept of Police Govt of Karnataka. 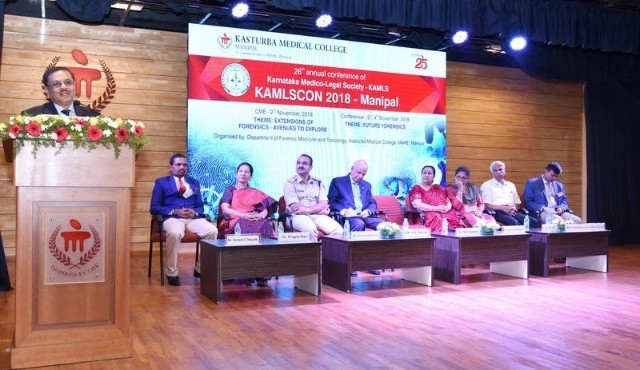 Addressing the gathering the gathering Shri M A Saleem IPS, Additional DGP said that “ Forensic medicine and Investigative activities must support each other to bring about the best results” Without forensic analysis it would not be easy to solve the case. Crime against women is increasing and Govt has brought forward protective legislative changes and rights for the victims which most of the people are not aware. 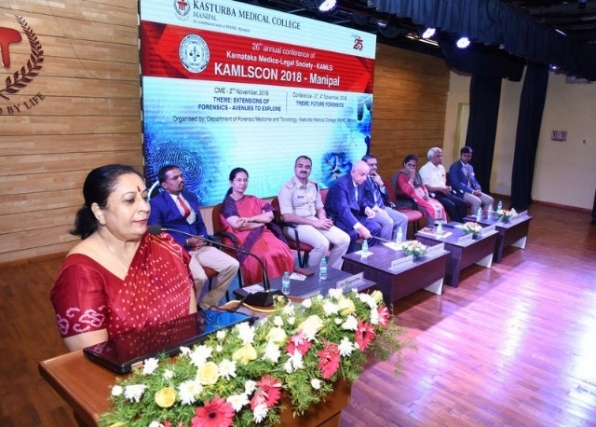 Dr Poornima Baliga Pro Vice Chancellor – Faculty of Health Sciences, MAHE Manipal said that “ Forensic medicine has progressed in their function and now its requires more space in the Medical Education curriculum”. Forensic Medicine and Toxicology now provides lot more services and analytics to the clinicians Dr Baliga added. It is the friendly coexistence between Police Dept and Forensic medicine department that helps to solve the cases. 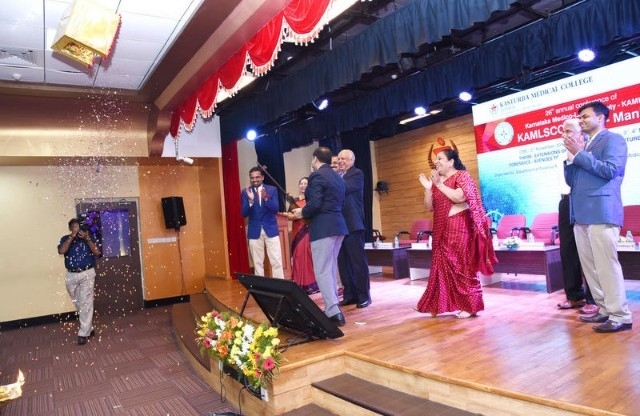 Shri Purushotham Shetty, MD Ujwal Developers and Constructions, Udupi released the conference souvenir. 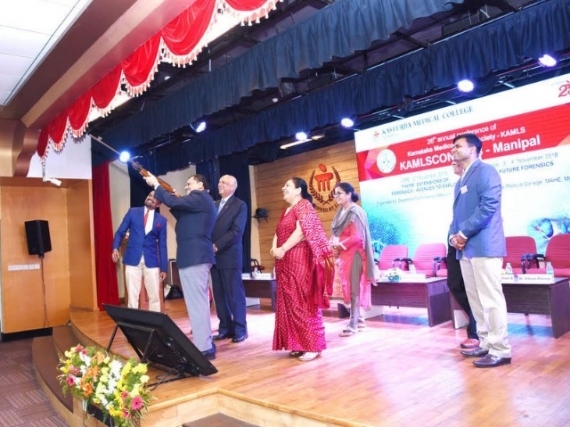 Dr Rohini, Sr. District Health and Family Welfare Officer –Udupi released the KAMLS Conference Journal. 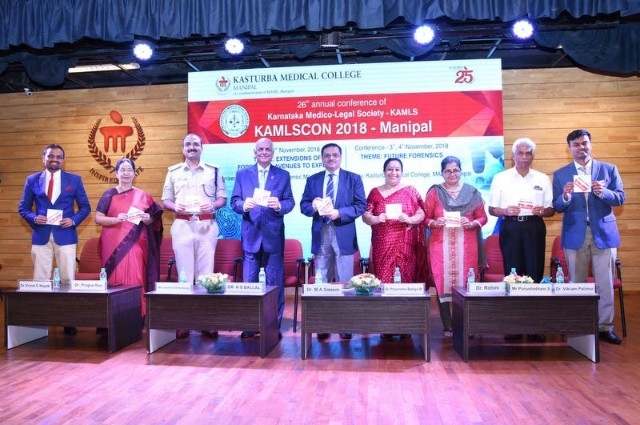 KAMLSCON 2018-Manipal was organised by the department of Forensic Medicine and Toxicology, KMC Manipal and Dr Vinod C Nayak was Organising chairperson and Dr Vikram Palimar was the Organising secretary. There were many other workshops and sessions organised as a part of this conference.